If you have Crohn’s disease, you know that Crohn’s symptoms can be both uncomfortable for you and misunderstood by others. What’s more, Crohn’s symptoms like frequent bowel movements, abdominal cramps, and gas can lead to the fear of being in public places. In fact, just talking about Crohn’s can create a feeling of discomfort for some people. Having a chronic and unpredictable disease is not easy, but managing Crohn’s is possible, and treatment for Crohn’s can put the disease into remission. Here are reasons to feel better about your condition and yourself. Many people with Crohn’s lead full and productive lives. Dwight D. Eisenhower, the 34th president of the United States, was diagnosed with Crohn’s disease just before beginning his second term in office — and he successfully completed it. Other famous people managing Crohn’s include actress Shannon Doherty and NFL quarterback David Garrard. 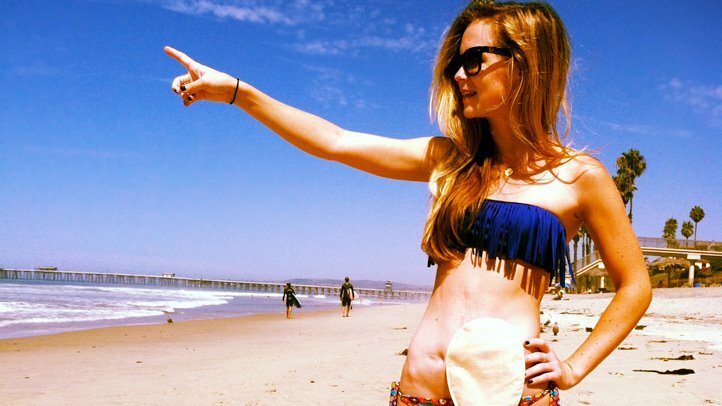 Whenever Crohn’s has you feeling down, think of the example set by these people from very different walks of life. Get informed about the condition. Learning as much as you can about Crohn’s disease and helping your friends and family understand it will go a long way toward reducing shame or embarrassment. It also helps to learn about managing stress, such as breathing or relaxation exercises. In addition, keeping a positive attitude is very helpful. Remember that you’re not alone. According to the Crohn’s and Colitis Foundation of America, there are about 700,000 people living with Crohn’s disease in the United States. Crohn’s affects people of all ages, from young children to older adults. Know that you didn’t do anything to cause your Crohn’s disease. Although experiencing Crohn’s symptoms can bring on stress, neither stress, anxiety, nor tension cause Crohn’s disease. Crohn’s is not caused by your personality or a lack of emotional control. Take heart that many Crohn’s symptoms can be relieved by medication. Treatment for Crohn’s is getting better all the time. Many new drugs are now being approved that may make treatment even more effective in the future. Adalimumab (Humira) is an example of a biologic therapy, a type of treatment for Crohn’s that only needs to be given once every other week. Are you doing everything you can to manage your Crohn’s? Find out with our interactive checkup. Know your triggers. Identify the foods that make your Crohn’s symptoms worse and avoid them. For some people, these may be dairy products. You can limit dairy or try low-lactose dairy products, but talk to your doctor or dietitian to make sure you are getting enough calcium. Watch the fiber. Too much fiber can make Crohn’s symptoms worse. Instead of eating your fruits and vegetable raw, try stewing or steaming them. Avoid “gassy” foods. Foods like beans, cabbage, and cauliflower are gas-producers. Avoid these and other foods that cause too much gas. Especially when your condition is active, bland is better than spicy. Avoid large meals, especially before going out. Frequent, and smaller, meals are best. Work with a dietitian to make sure you are getting enough vitamins and nutrients, and ask if you should take any supplements. Do some planning. If you are going to be away from home, plan ahead. Know where the bathrooms are. You may also want to consider having a change of underclothes, just in case of an accident. Get support. Crohn’s symptoms can add a lot of stress to your life. Getting support from other people who successfully managing Crohn’s can motivate you to stay with your treatment program and overcome any negative feelings you’re experiencing. One of the most important things you can do is take an active role in your treatment. The Crohn’s and Colitis Foundation of America is an excellent resource for managing Crohn’s symptoms and feeling better, both emotionally and physically.